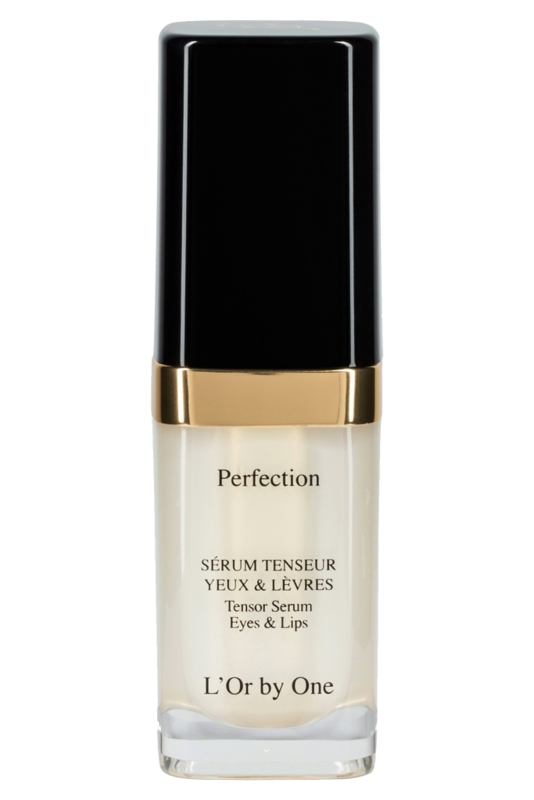 Perfection serum, with its high concentration of active ingredients, acts against deep wrinkles and crow's feet and significantly combats sagging eyelids. This serum has a high concentration of three active ingredients. - The patented natural active anti-ageing ingredient NB770-C visibly combats sagging skin by stimulating the synthesis of collagen fibers. - Betain has anti-ageing properties and increases skin cell reproduction. - Hydrolyzed soy flour protects the elastin fibres in the skin, allows collagen fibres to contract and strengthens the skin. - On application, this unique serum reduces dark circles, wrinkles and fine lines with remarkable effect. Apply morning and/or evening to cleansed and toned skin. Apply a small quantity to the whole eye and/or lips contour by pressing lightly on the skin to optimise microcirculation.